Meta are quickly becoming the market leader in the UK for the most reliable, and affordable vehicle security. 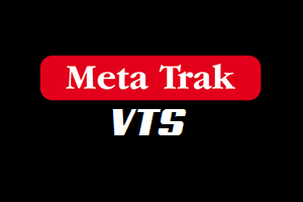 Meta provide many security sollutions which can’t be matched elsewhere such as the most advanced car alarm siren also featuring a built in GPS tracking system alongwith smartphone push alerts if the alarm is triggered. Meta have there standard Thatcham approved series of alarm systems and they also have a range of plip systems which are fitted to vehicles up to the year of 2005 in most cases. Even some vans today still use this type of system. And they have there manufature approved alarm system which works on the vehicles data network known as can-bus. These systems work perfectly alongside the original remote locking system on the vehicle meaning locking the doors will arm the alarm and unlocking the doors will disarm the alarm. This gives the customer a complete security system but it won’t effect the way you have to lock or unlock the vehicle. Meta System is the only alarm brand in the world that has a massive range of alarm approvals from the vehicle manufatures. No other alarm even comes close in terms of quality or reliability. Pandora have hit the UK with there industry leading product line. The UK hasn’t seen any new products in a while and now Pandora is setting the standard very high. The most popular system so far is the Pandora Light Pro giving excellent security and communication to the vehicles owner by an LCD remote control. This gives the owner infomation on the vehicle up to 1 mile away. Meaning you can rest assured when leaving your vehicle knowing it’s ok, the Pandora systems all work from the vehicles OE remote meaning you can lock and unlock your doors as normal. The part that makes the Pandora system so secure is the immobiliser / ADR tag that sits on the vehicles keys. The alarm won’t turn off or allow the vehicle to start unless the card is within range of the vehicle ( This can be dictated via the smartphone app ) allowing the customer to shorten or extend the range. The systems work on 868Mhz which stops the most common key cloning and key scanning the normal 433Mhz wave length suffers from. If you would like a Pandora Car Alarm fitted in Essex why not contact us on 07525 068291. The Ford Custom has been around since 2014 and any form of security is no where to be seen. The Ford Custom lacks security due to it being disarmed via the drivers door lock. A common method thieves use to gain entry into these vehicles is by twisting the drivers door lock to the left. This turns off the original horn or Thatcham alarm and allows the vehicles doors to unlock. This means your whole vehicle can be opened without making a sound. Car Alarms Essex provides an excellent Cobra Thatcham approved alarm which works alongside the original Ford 3 button remote control but it WILL NOT disarm from the drivers door lock making it very secure. The only way to disarm the system is via the original Ford remote key or the emergancy pin override code. This system protects all doors front, side and rear and the vehicles interior is protected by ultrasonic interior sensors giving complete piece of mind when leaving your Transit Custom. We install a loud 118DB battery back up siren which means if the siren is attacked it will keep sounding. We supply and fit the Thatcham Approved Cobra alarm upgrade in Essex and all local areas. Call 07525 068291 to find out more. Thatcham are leaving the scene with regards to vehicle alarms and immobilisers in 2018. It has been kept quiet for the last year or so but the word on the street is Thatcham will be leaving the vehicle security side. The only thing that will remain is the stolen vehicle tracking approvals. There may ( Might ) be no factory alarm or immobilisers fitted in the UK once Thatcham has stopped accrediting the security products. In the USA very few cars have a factory immobiliser fitted as standard meaning car manufatures might not invest in any forms of security at all. This is more than likely the reason Autowatch haven’t put the Ghost through any form of testing. Until the time comes next year it will be unknown if there will be a replacement for the Thatcham accredited products. There might be another body which will step in but it’s unknown at this current time. Will this make a diffrence in the products we sell? The answer is very simple, with car thieves running rings around factory vehicles with Thatcham Cat1 products fitted as standard. Customers are looking for something that will simply secure the vehicle. For example none of the Viper security systems are Thatcham approved in the UK or the Autowatch Ghost for example. All the infomation is just simply talk within the trade, we can’t be held responsiable for any incorrect infomation. The Autowatch Ghost will be paired to your iPhone, meaning every time you get into your vehicle and turn the igintion on it will instantly look to see if your smartphone is in range. If it is the vehicle will be allowed to start instantly. If the iPhone is not found or your phone battery is flat you can simply enter your pin number via the steering controls or door buttons ( as per normal ). The Autowatch Ghost app is £9.99 to download from the Apple store and it’s nice and easy to set up and use. The app can be found to download here. Why is the Gemini 5079T Immobiliser such a universal immobiliser system? Well for a start it is dual voltage 12 and 24 volt meaning it can be fitted to a car, van, motorhome or lorry making it very flexiable. The system is a full Thatcham Cat 2 immobiliser approved for all types of Thatcham Cat 2 immobiliser installations. The system also features two immobiliser cuts which are very high rated at 30 amps per cut meaning a fuel pump and starter motor cut are no issue for the Gemini immobiliser to handle. The Gemini 5079T Immobiliser automaticly re-arms after turning the ignition off. The system features a small LED which flashes once every second when the system is armed. This gives a visual warning to say the system is secure, the touch keys are encripted meaning they can’t be cloned or bypassed. There is a new Thatcham approval that has just been released called VTS. This is only for the stolen vehicle tracking market. But it is very important to take note, after 2018 the Thatcham Cat 5 and Cat 6 approvals will no longer be avaliable on the UK market. 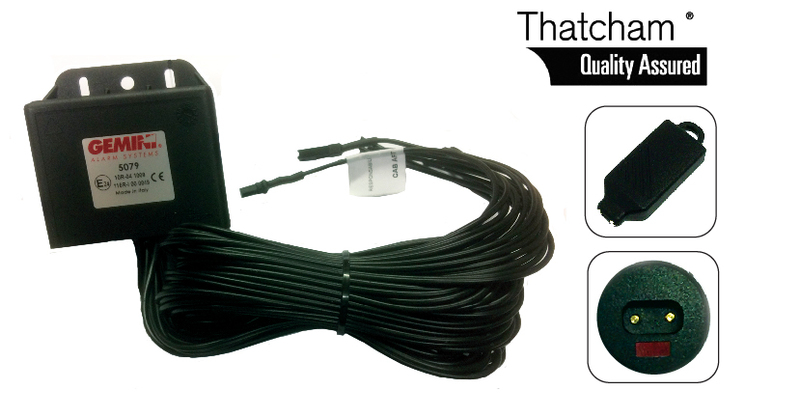 You will only be able to buy VTS which is a new device and its a mixture of Thatcham cat 5 and Cat 6 devices together. The VTS features some parts of a cat 5 and cat 6 tracker. The main diffrence is the driver recignition cards. These will come with every VTS unit. This will make the tracking market more secure, due to every tracker needing an ADR card to function correctly. If you need a Thatcham tracker that meets the new approval you will require VTS giving you the very latest vehicle tracking and security. Look on our Car Trackers page to find out more.